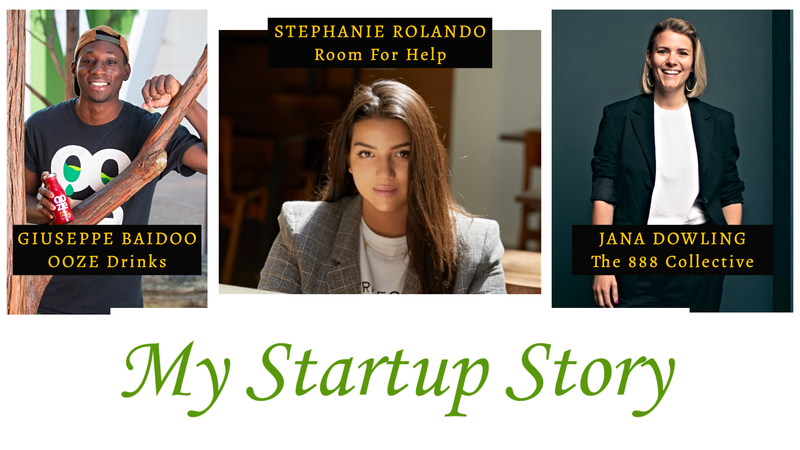 JOIN US for the next round of My Startup Story as we network and discover how these inspiring young founders developed & turned their business dreams into reality! My Startup Story, hosted by WeWork, is a series of speaking events aimed at inspiring your innovative ideas into reality. 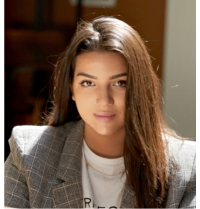 On November 15th at WeWork South Bank, we’ll be having an intimate, in-depth interview with three startups set up by young people (under 35) who were inspired to launch their own enterprise. Why do we need young entrepreneurs sharing their business stories? The UK’s largest independent tech retailer Ebuyer recently surveyed 2,000 UK adults and found that young people were the most likely group to take the plunge and start their own business. Nine in ten 25 to 34-year olds are thinking about starting their own business, along with 85 percent of 18 to 24-year olds. My Startup Story gives young founders the platform to share their startup stories, learn from the experience of others, and inspire the next genX of business leaders to kickstart and develop their own entrepreneurial journey. Come along and meet these exciting millennials up close and personal, as they share their tips on starting up, developing and running successful startups. Whatever your business interest, you’re welcome to attend My Startup Story and join us in celebrating the achievements of these young founders who ventured outside their comfort zone to achieve their full potential. Expect a panel of influential speakers, engaging & interactive Q&A sessions, a really lively networking + a few nibbles, drinks and goody bags! 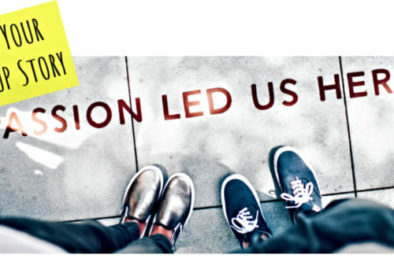 Come and connect with us at My Startup Story and let us celebrate everything about entrepreneurship and startups. 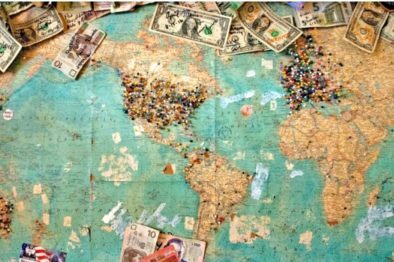 The discussion will be centered around Diversity, Startup Ecosystem, Mental Wellbeing, Sharing Economy and Sustainability. 6.00pm – 7.00pm: Attendee arrival, registration, food & drinks, networking. 7.00pm – 7.15pm: Welcome from Queen Ilebode, founder of IAmNewGen Mag + Event sponsors. 7.15pm: Interview talks with founders, led by moderator – Lotta Olsson, begins. 8.15pm – 8.30pm: Audience Q&A session. 8.30pm – 9.00pm: Networking, refreshments and goody bags. Giuseppe is on a mission to tackle environmental and social issues by saving misshapen fruits and vegetables (that are aesthetically different) and turning them into delicious smoothies to help reduce food waste. 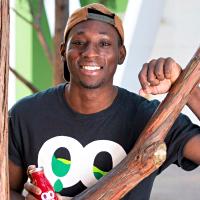 Giuseppe co-founded OOZE Drinks in 2016 because of his motivation, since a young age, to get involved in different community-focused projects whereby he can contribute to helping people in disadvantaged situations. Here is where his inspiration and obsession for sustainability grew to help him become a social entrepreneur and to set up his own business to fight food waste and aim for social change. In July last year, Giuseppe won the Shell LiveWIRE Smarter Future Award for his sustainable drinks company OOZE Drinks and he was awarded £5,000 to develop his startup idea. 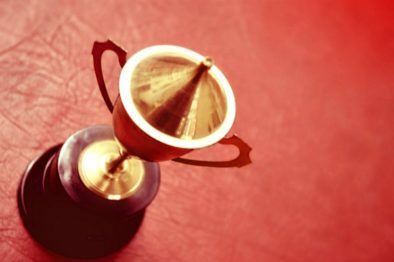 The Smarter Future Award supports young entrepreneurs with innovative solutions aimed at addressing sustainable living challenges through smart innovation. Jana founded The 888 Collective in August 2017 as a direct response to her personal experience with losing work after suffering from mental health issues. On re-entering the workplace, she found there was a lack of support key to her recovery. With this in mind, Jana built The 888 Collective to empower people and organisations to take control of their mental fitness. The initial idea was to set up a cafe that was completely staffed by people with mental health issues looking to get back into work. Jana began with selling toasties out of a Shed in FountLondon London Fields. WeWorks all around London then gave Jana the opportunity to take things indoors into their co-working space where there was an eagerly awaiting customer base. The 888 Collective staff were developing and learning how to manage their mental fitness directly through Jana’s teaching so she developed it into a course, which she delivers for free to those out of work. All graduates of the course get their first shift in work at The 888 Collective- bespoke pop-up restaurants around London that are fully staffed The 888 Collective members/graduates. In partnership with mental health professionals, the team is developing accredited courses that will allow companies to support and measure the mental fitness of their employees. An app will allow not only employees to feedback to their organisations but also everyone to monitor their own mental fitness. Jana has now secured series A funding (£500k) to launch her new company Arkeo – The Fitness Brand For Your Brain. Stephanie founded Room For Help at the beginning of 2017 after struggling to find affordable accommodation in London and coming across the concept of Homesharing. Homesharing is when someone offers out a room in their home in exchange for help around the house. This can be anything from pet sitting, child care or companionship for the elderly and usually works out to be around 10-12 hours a week. After researching into other Homeshare agencies Stephanie noticed a need to innovate the industry and spread the idea of Homesharing to a wider community. She started growing a small following online, created a website from scratch and started running trial homeshares to see if the concept worked. Room For Help is now one of the most recognised homesharing agencies in London with applications to join the scheme coming through on a daily basis. In June this year, Stephanie’s work was recognised nationally when she was awarded a Young Innovators prize from Innovate UK. Along with this award came a small amount of funding and mentoring as well as media publicity. During the launch of the Innovate UK awards Stephanie was featured in media outlets such as The Evening Standard and Stylist magazine, and she was also interviewed on London Live. Stephanie is now part of Innovate UKs “Ideas mean business” campaign as well as The Great British Campaign which showcases talent from across the country. In addition to these accolades, Stephanie was also awarded the TOG100 membership for young entrepreneurs. Although Room For Help is just at the beginning of its journey, it has grown staggeringly within the last 12 months. Stephanie currently manages the whole business by herself, but she has future plans to expand the team and apply for more investment. Lotta Olsson is a Mindset and Leadership Coach. Through her own business, she helps entrepreneurs and professionals refocus life and high-pressure careers in line with their values and motivations. She is also an Associate Coach for BTS Coach, working with corporate leaders to develop their communication and leadership skills. 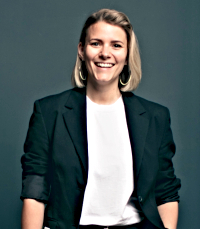 With a background in Enterprise Education, Lotta has worked as an Incubator manager supporting high potential startups, managed business idea competitions, organised training sessions and various events for hundreds of attendees. As a trained coach and mentor, she also volunteers to support individuals through the Professional Mentoring Programme at City, University of London. Lotta is a big fan of positive attitudes, personal development, new experiences and anything that can teach her something new about people and life. 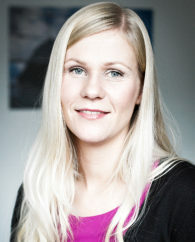 Lotta will be facilitating the My Startup Story talks with our inspirational young founders. I Am New Generation Magazine – an online lifestyle magazine for young entrepreneurs and professionals under 35. Celebrating and inspiring youth entrepreneurship. WeWork – is the platform for creators. They provide beautiful workspace, an inspiring community and business services to thousands of members worldwide. JEDA Energy – specialises in independent brokerage and consultancy of physical commodities trade in West Africa. Interested in sponsoring My Startup Story event? Please note that due to alcohol being served on the premises, you must be age 18+ to attend. Photo IDs will be checked at the door. By buying a ticket, you consent to being photographed, filmed as a member of the audience, and photographs of you being used by I Am New Generation Magazine in any medium for the promotion and marketing of My Startup Story. While attending this event, you are responsible for safeguarding your property when attending the event. Both I Am New Generation Magazine and WeWork will have no liability for property lost, stolen or damaged at the event. Speakers are subject to change and we do not guarantee that any specific speaker will appear at the event. However, we will always try to find a suitable replacement if one of our key speakers is unable to attend. Views expressed by the speakers at the event may not be the views of either I Am New Generation Magazine, WeWork or JEDA Energy.